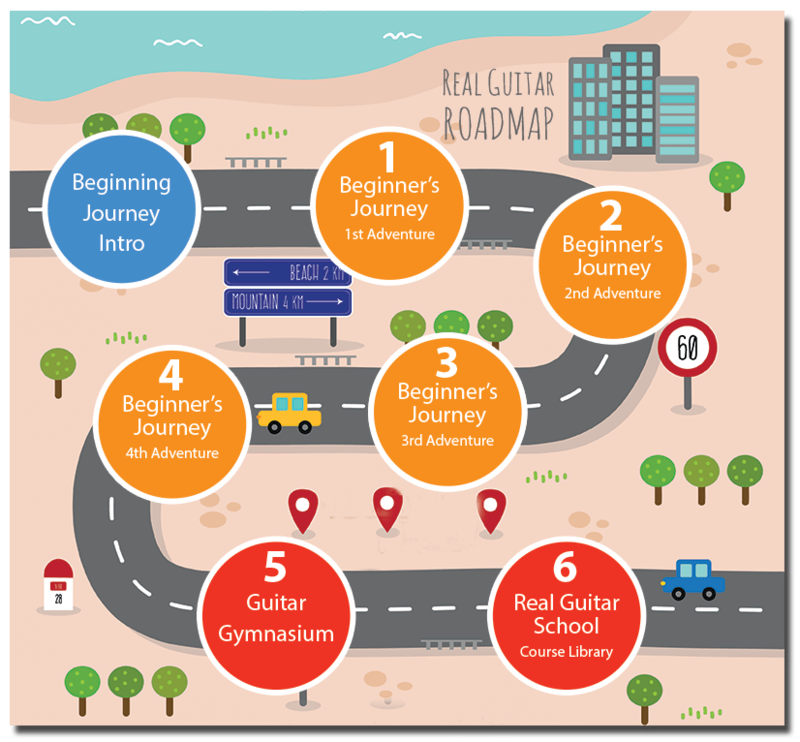 With the Beginner’s Journey Roadmap you’ll hop and skip step-by-step through everything you need to get started playing guitar. This methodical course gives you the freedom to brush up on what you've already learned and advance with an organized path laid out by a professional guitarist. Keep track of your progress and avoid feeling overwhelmed by always knowing what you should be focusing on. Progressive lessons will build on each success. Learn the skills you need to reach your guitar playing goals. Not only will you gain the technical ability to play better but you'll develop a solid foundation to build on… and HAVE FUN doing it! Get answers to your questions directly from Tomas and other students. With help you’ll learn all the little stuff that'll help put this puzzle together. Stop wondering what to learn next. Move in a clear direction instead of learning random disconnected chords, techniques or songs? 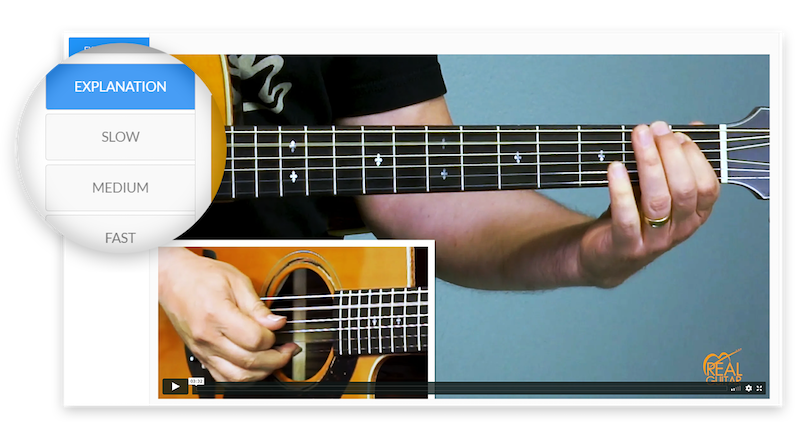 A library of extensive courses provides training and practical advice on every aspect of playing guitar. Regular live training sessions ensure you get your questions answered and provide additional training to inspire you and encourage your success. 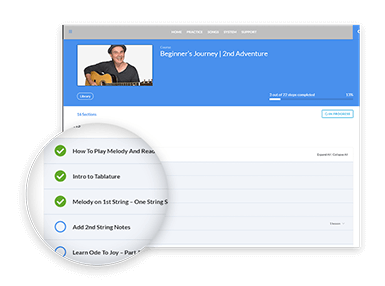 Get advice, feedback, motivation and support from Tomas and an active community of fellow guitar learners and experts who will help keep you on track. only 5 minutes to Practice? Not to worry. 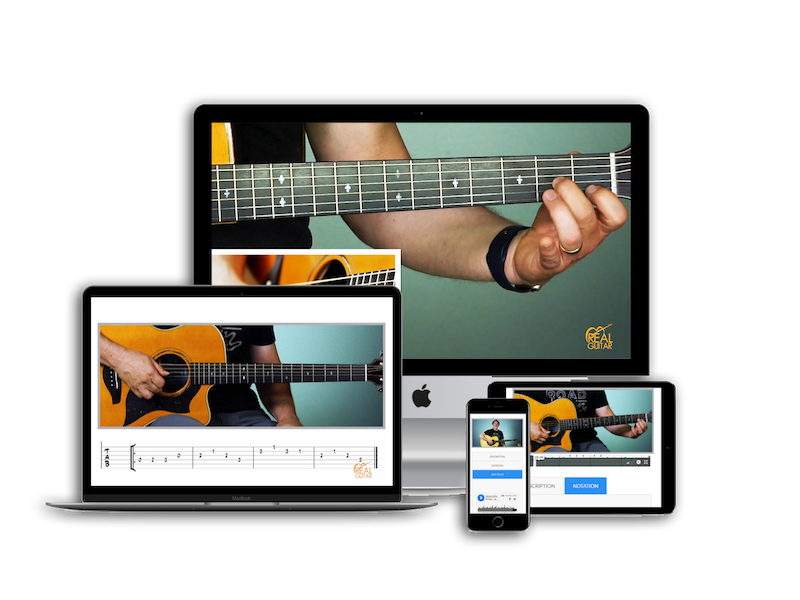 You'll have a library of bite-size action-packed 5-Minute Practice Sessions at your finger tips to put your guitar playing on steroids. A complete library of professionally recorded backing tracks for practicing and jamming. It’s like having a professional group of musicians there with you to play along with. Coaching from Tomas delivered weekly to your inbox with inspiration and encouragement along with practical advice. No time to log in today? No problem. Easily download lessons or save them for later. My unique Daily Practice System will guide you through all the essential skills you need to play guitar and grow in confidence while having fun. Brand new sessions every weekday! Every lesson covers not just techniques and skills, but also how to overcome your mental challenges, roadblocks with encouragement, patience, care and love.